It was a good day to learn how to shoot video interviews… It’s not just the camera; I even talk about how to get your subject to warm up to you. 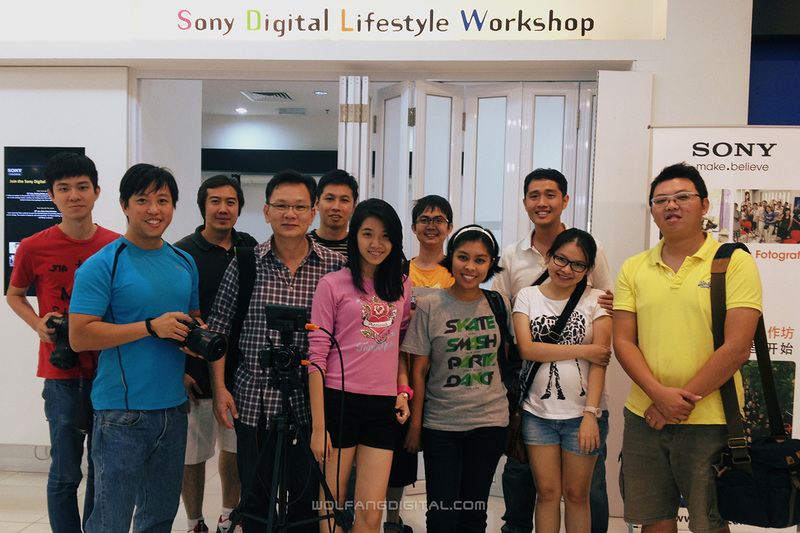 Sony Alpha Video Workshops are held at The Sony Store, in The Curve shopping mall. Participants learn how to set-up the camera for basic video interview session. We taught video interview basics like scene and subject composition. We also gave a short intro to essential accessories like microphones, lenses, lights and tripods. Participants from our ‘How to shoot a video interview’ Sony Video Workshop. 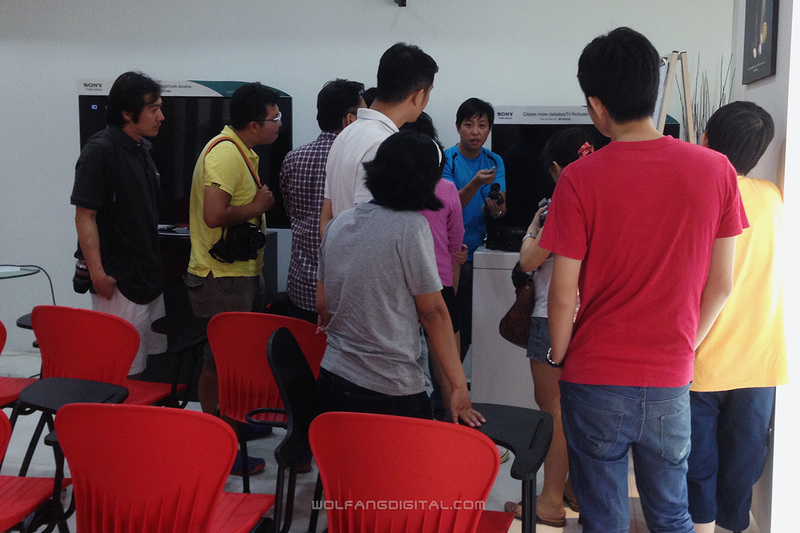 Most of the training was conducted with the little Sony NEX mirrorless camera. I think everyone did a good job. More proof that the NEX is a feature-packed camera in the right hands. 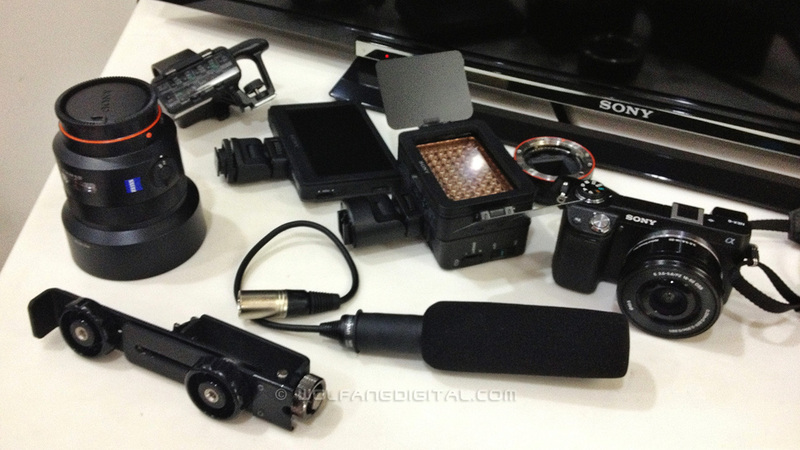 We introduce microphones, LED lights, lenses and accessories. The Sony Zeiss 50mm F1.4 (Alpha Mount) was featured. Attached to the LA-EA2 adapter, it lets NEX camera users enjoy the excellent Zeiss optics. The new Zeiss 50mm F1.4 was featured in this workshop. Other gear include mics and LED lights.